When you decide to set up a website, there are generally two options you can take. First, you can register your domain, then find a hosting company and set up a monthly hosting plan with them, and then build your website. 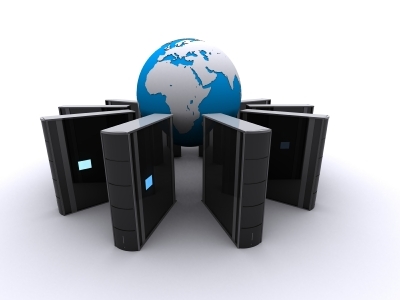 Or, you can take the easier and often more efficient route of going with an all-in-one web host. This type of hosting company will take care of your domain registration for you, set up your hosting plan for you, and in many instances will also assist you with building your website. If this hosting company also offers fully managed hosting, this is an option that may be ideal for you if you’d prefer not to build your own website, and if you’d like it monitored for optimization and security. When deciding to go with an all-in-one web host, the first option you’ll need to take care of is choosing who to go with. Many of these hosts offer inclusive plans that cover the domain registration, template creation, and even the SEO and social media optimization aspects of your website. Be sure to look at each plan in detail to determine what is included and what isn’t. If there’s something you’d like to have for your site, such as online chat support or a help desk system, then be sure to ask – this may be included but simply not mentioned in the plan details, or you may have to have it added on and pay an additional fee for it. All-in-one web hosts make website creation and launching very easy for you, the website owner. You pick the domain name to register here, you let the company know what type of website you want built (a blog, a forum, an online shopping store, etc. ), and you give your input on the types of designs you like. From there all you have to do is let the hosting company take charge and build your website for you. In the meantime you can set up social media profiles — like Facebook, Google Plus, LinkedIn, and Twitter — to integrate with your site once it’s finished. The web host will let you know when it’s ready, and you’ll be able to tweak the finished look to get it just right.